Sat 23rd June 2018 10am to 4pm. An Tairseach Dominican Farm and Ecology Centre, Wicklow Town. All ages from the very young to the very wise are welcome at this Midsummer Celebration. 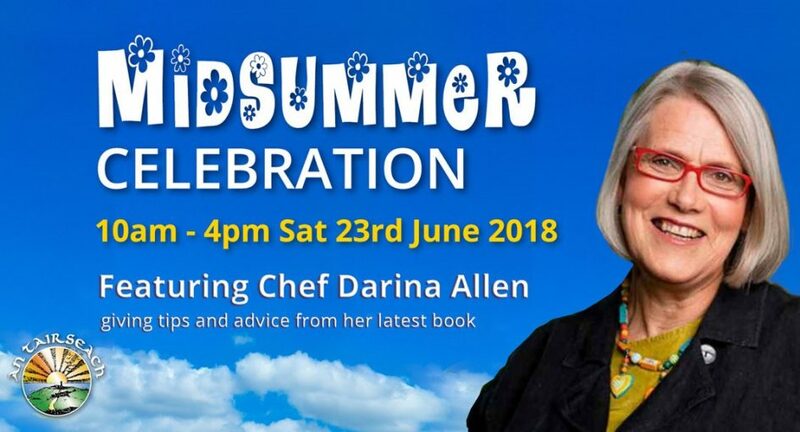 The day will include a celebration of the Summer Solstice in the Cosmic Garden, a talk by Darina Allen on ‘Grow, Cook, Nourish’, family friendly cookery workshops by Wicklow’s very own ‘Sukhi’s India’, a local artisan food and craft market and art and crafts in the barn for children. Entrance is free but booking is essential for the talk by Darina Allen and ‘Sukhi’s India’ Cookery Workshops. 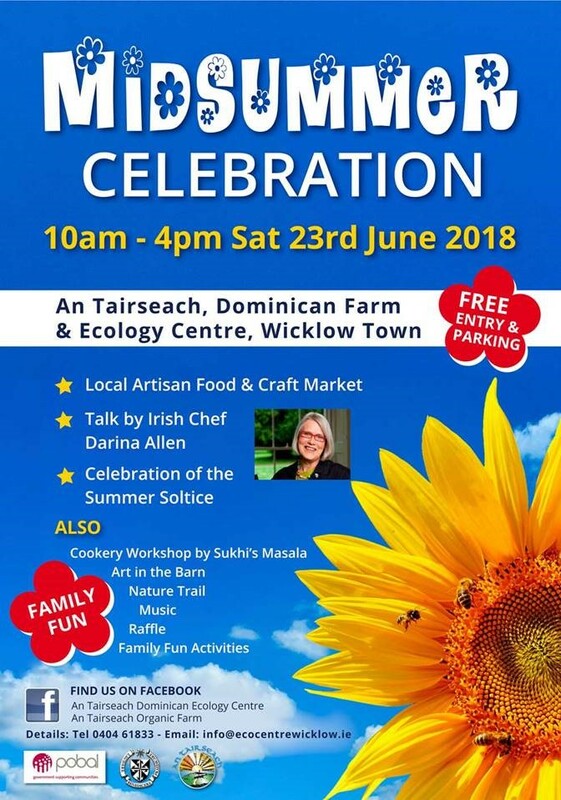 Tickets are available from An Tairseach Organic Farm Shop or on www.eventbrite.ie – ‘Midsummer Celebration – Wicklow Town’. Contact 0404 61833 or [email protected] if you would like more information.